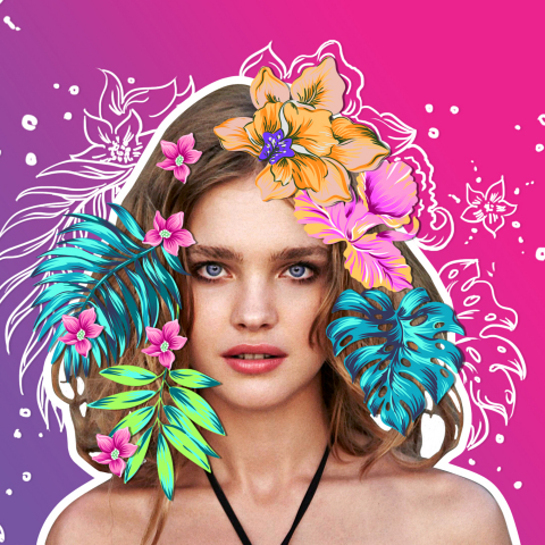 PicsArt, the leading image editing app and creative social network, today announced the appointment of Natalia Vodianova, the supermodel and philanthropist, as Head of Aspiration. In this new role, Natalia will inspire and suggest opportunities to drive positive change through creativity. She has also joined the company’s advisory board. The role is a direct extension of Natalia’s focus on social activism and her vision of creativity, which naturally meets PicsArt’s mission of making awesome pictures to make the world a better place. In fact, Natalia sees creativity as a powerful, collaborative tool to activate people around social causes, in a fun, light and engaging way. Over the last five years, Natalia has established herself as a tech-entrepreneur by founding Elbi, a digital platform that puts creativity to the support of many different charity causes, fundraising for them and rewarding users for their activity. She will bring her strong purposeful storytelling and vision to PicsArt to inspire over 400 million people globally, who have already downloaded PicsArt, plus new users, to participate in creative programs for social good. Late last year, Natalia helped normalize breastfeeding through her participation in the viral #TreeOfLife phenomenon that swept the Internet, fueled by PicsArt. She, along with tens of thousands of mothers globally, turned breastfeeding photos into works of art and shared them socially. Starting today, Natalia can be followed via her PicsArt profile, picsart.com/natasupernova, where she’ll be challenging fans and the PicsArt community to be more creative. To begin, Natalia is offering access to inspirational stickers on her PicsArt profile that are free to use and edit, plus contests and challenges that are free to enter, available to everyone globally.